The Good Dinosaur recently came out on DVD and Blu-ray! The kids and I were lucky enough to watch it on the first day it was out. I knew I'd be in for a little bit of emotion but I had no idea the conversations that would be brought up after the movie, including days later. I learned so many things from this movie. 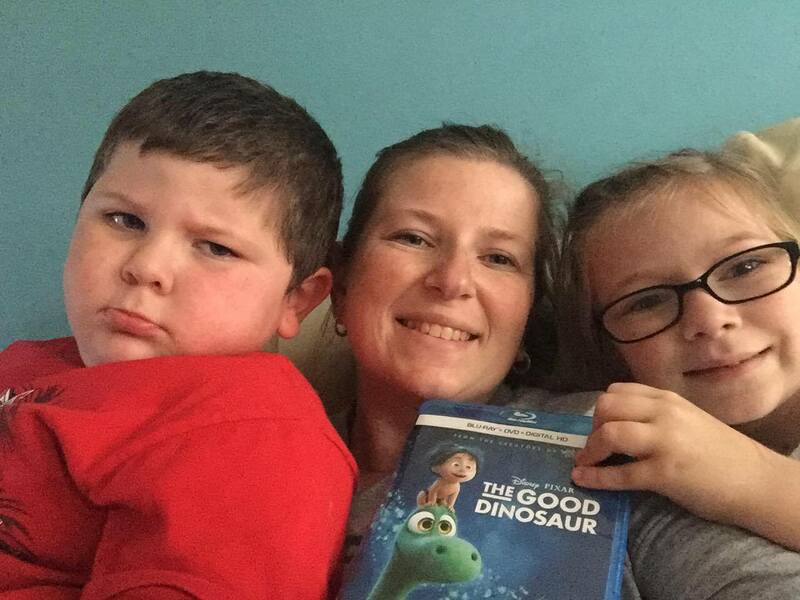 In The Good Dinosaur, Disney/Pixar asked; What if the asteroid that forever changed life on Earth missed the planet completely, and giant dinosaurs never became extinct? In this epic journey into the world of dinosaurs, an apatosaurus named Arlo makes an unlikely human friend. While traveling through a harsh and mysterious landscape, Arlo learns the power of confronting his fears and discovers what he is truly capable of. I was learning so much right along with Arlo. Most of all, I learned that my son shows many more emotions than my daughter. Cooper had wet eyes at 2 points in this movie. How he is dealing with emotions as a 4 year old is amazing to me. While we go through our every day life, temper tantrum here and there, its easy to forget that he is a 4 year old trying to find his place in the day and simply needs to act out because that is the only way he knows how to get the emotions out. The Good Dinosaur reminded me of this. I also learned that I expect a lot from my children. While there is nothing wrong with high expectations, I need to open my eyes a little more and see how the process is effecting the child. On a few occasions since our viewing of the movie I've referred back to remind Allyson that you need to push past your fear and nervous feelings because the end result is worth it! She is just beginning to make her mark on the world and I really don't want her to hide behind me or her fears when the time comes to shine! "Someday you are going to leave your mark on the world." "Sometimes you gotta get through your fear to see the beauty on the other side." Below you'll find a picture I snapped of the 3 of us after we finished watching the movie. From our faces you can see how we felt about the movie. Ally thought it was really good. I cried and left the couch with a lot to think about. Cooper on the other hand was not very happy at all. He said he enjoyed the movie but I'll quote him with this small spoiler; "This movie isn't good when Papa died in the river." 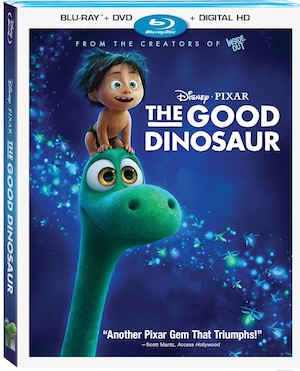 Pick up your copy of The Good Dinosaur. It is a movie every family should have in their collection and watch over and over again. So many life lessons and quite a few giggles along the way. Be sure to check out the Bonus Material at the end of the movie. My favorite of the bonus material is the Recyclosaurus! They created a dinosaur out of recycled materials! This is a big thing in my home, so seeing the dino made of these materials was great for the children.